I have a rectangular polygon I want to create another polygon that is 200 metres bigger in each direction from the original. Is there a way to create a square buffer around the original polygon or another method to do this? Use the "Miter" Join style. Not the answer you're looking for? Browse other questions tagged qgis polygon buffer or ask your own question. Creating evenly spaced grid for QGIS composer to show overlap in Map? Expanding Polygon by distance using PostGIS? Creating square buffer around point feature using ArcGIS for Desktop? 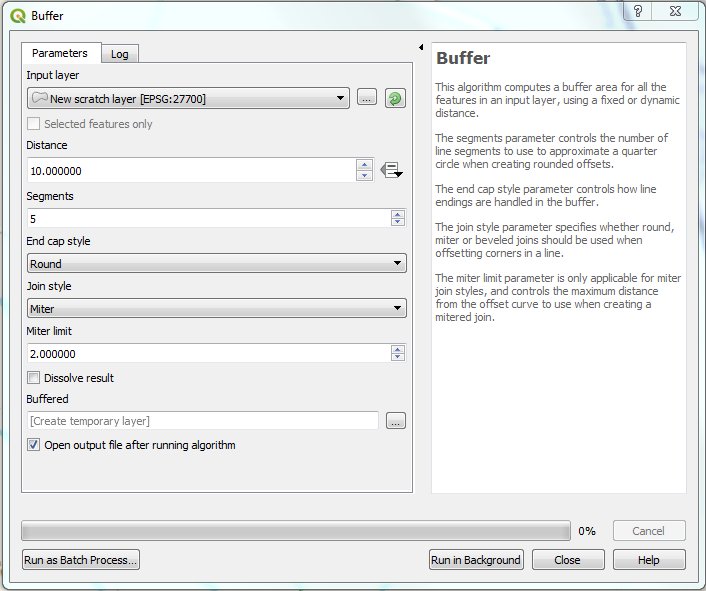 Creating a buffer in ArcMap…? Creating OUTSIDE_ONLY buffer around polygon using R? 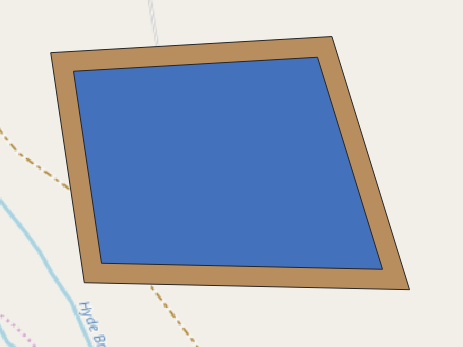 Creating buffer in QGIS without including surface of original polygon?